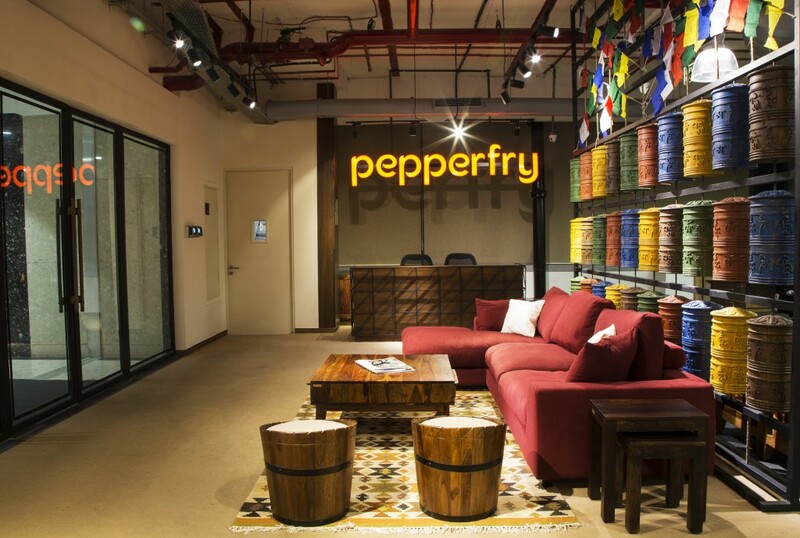 Online furniture retailer Pepperfry, which also operates about 35 offline Studios, has a brand new office in the eastern suburb of Vikhroli, Mumbai. 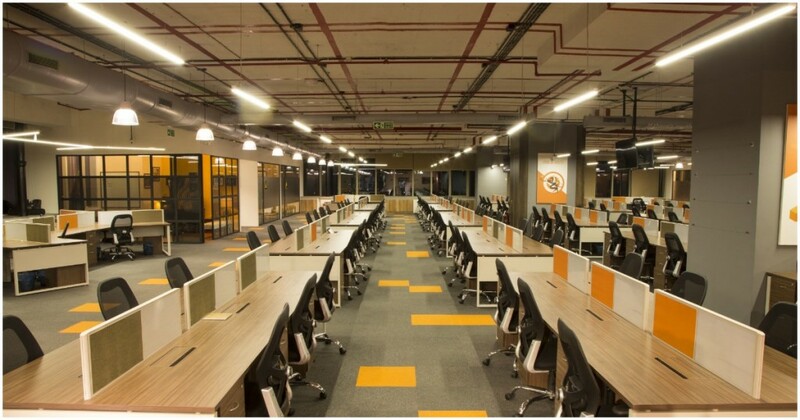 The office has been inspired by Pepperfry’s pursuit to nurture an inclusive and vibrant work environment. The office is built to exude an organically earthy aesthetic ambience. The office design is geared towards enhancing productivity and offering spaces that exude character, history and personality. The entrance has a partition wall separating the reception from the rest of the office. This wall is decorated with enchanting Tibetan bells and flags reminiscent of Buddhist monasteries. Cantilevered signage on the ceiling welcomes you as you set foot into the office. 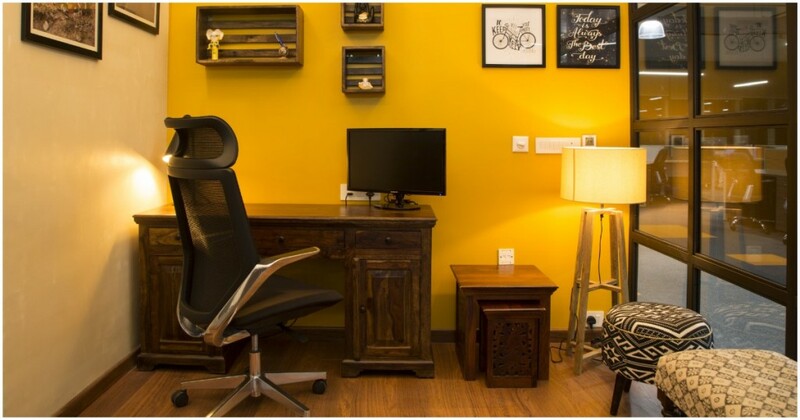 Pepperfry gives its team a spacious yet cosy corner to mellow up after a hard day at work. Folks can sway the stress away on comforting swings and lounge around with a hardcover in hand. 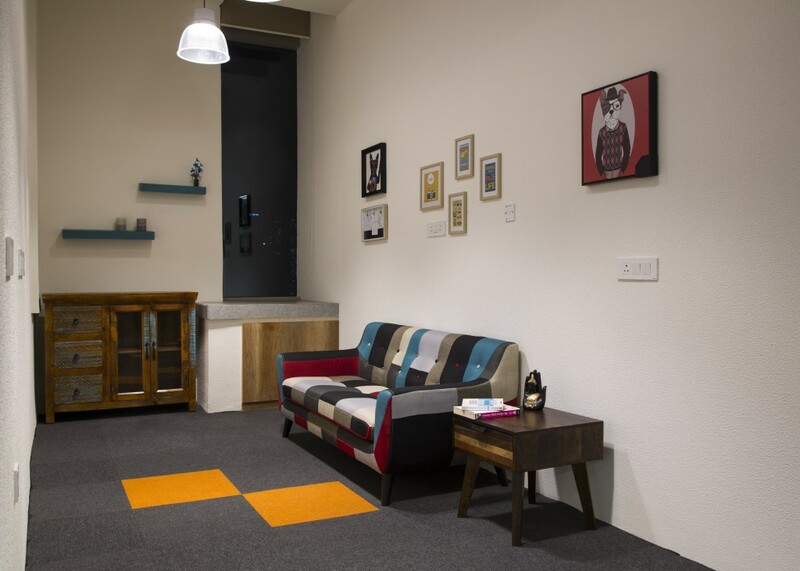 The corner is equipped with games like Snakes & Ladders and Chess and a Table Tennis arena where one can bust away the day’s stress. There’s no better time for individuals to bond at workplace than lunchtime. The vibrant cafeteria is the de-stress zone where the Pepperfry family comes together on a common table handcrafted in luxurious leather with a granite top and can accommodate 25 people at a time. The impressive Board Room is the prime decision making and brainstorming hub of the office. It is exquisitely adorned with unique artwork, canopy ceiling and bright wallpapers. The meeting rooms have been named after the passes traversed by team members and are replete with personalised pictures of employees. Piping music plays across the office through ducts in the ceiling. The office supports LED lighting and power-saving techniques. The ceiling is kept exposed without paint with the AC ducting left bare giving it further height. Pepperfry aspires to build a culture which is in sync with and guided by the pursuit for excellence. Their core values – excellence, learning agility, courage, and passion are reflected throughout this office.